AnonD-142214, 10 Nov 2014Is Kitkat better than Jellybean ? Does it increase app memory to 4gb? Is the upgrade from Serv... moreHello Bro. KitKat certainly is better then jelly beans in terms of ease in operation and battery management. but the OTA update of kitkat doesn't increase internal app memory so only way is to go to a authorised xolo service center and get it updated to KitKat but then as you told that indore serivce center guys still don't have kitkat update. 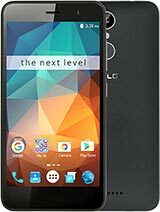 my suggestion would be to continue with jelly beans as i haven't noticed many problems in my seven months of use of xolo q3000. I think its still a wonderful device with jelly beans. Amit Gupta, 07 Nov 2014Hello Bro. Don't go for OTA update anyways because you will loose your superuser rights and ro... moreIs Kitkat better than Jellybean ? Does it increase app memory to 4gb? Is the upgrade from Service centre better ? Still Indore Service centre guys can't upgrade it ? I hope kitkat does not reduce battery backup ? Although , I have changed prefered app location to SD card in settings , let's c till when it works . Plz advice. rajani, 03 Nov 2014power button is not working properly... :( just two day old phone... very sad :(My power button is not working. This is the second time it's happened. The first time, it started working after some time.I bought my phone on 31st October. Is it working now?? Please reply as soon as you can. Thanks a lot. 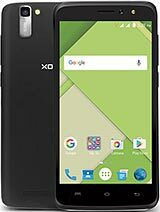 my current version is xolo_q3000_kk_s007_27052014 and internal memory 4 gb. 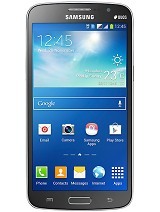 if i will update it to kk_s007 to kk_s005,my internal memory will be same 4 gb ??? or changed to .98gb. my last update done by xolo service center my internal memory 4 gb. now i want to update my xolo q3000 to kk_s005. so any body tell me about my internal memory after update it. 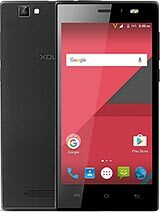 AnonD-325940, 08 Nov 2014 Updated by XOLO Beta 9 days ago Comment Hi Users, We are releasing Q3000 JB (S011) to ... moreSite says dat d download isnt available anymore. We are releasing Q3000 JB (S011) to KK (S005). The OTA update process will be same as earlier, no changes here, please follow the process and update From JB to KK. NOTE: Please do not press any keys while process is going on for OTA, have patience till final auto restart. Today I have updated my phone as it has asked me for software updation. Since then, my phone is not switching on. and continuously rebooting by itself. Can anybody guide me if possible to get my phone in working condition. Download kitkat from XOLO website. It will be easy. nimmu, 04 Nov 2014How is the performance? and hd video playing,? Does the phone shows any hanging problems? . 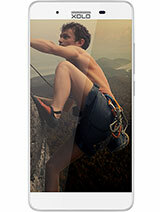 ... moreIn hd video quality its a high end device. Performance is well and good. I m using it since 4-5 months with no hanging trouble. Its KitKat update build number XOLO_Q3000_KK_S005_28102014 is bug free. I updated through download from wetransfer.com. This 374 MB update.zip file was uploaded by xolo team. Previous KitKat beta update version XOLO_Q3000_KK_S007_27052014 was not good. The App ROM is not increased by OTA update did not increased ROM to 4GB but there is still so much space in 1 GB ROM to install many more applications. 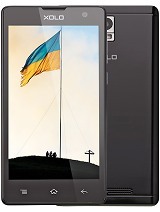 Xiomi mi3 is its nearest competitor with 3000 mah and 5" screen, But more powerful CPU GPU and some other good features. But there is no other fighter in the price war. AnonD-142214, 06 Nov 2014 Still cell can't b upgraded to Kitkat from the service centre at Indore . Plz help . Should ... moreHello Bro. Don't go for OTA update anyways because you will loose your superuser rights and rooting kitkat is a bit difficult and OTA kitkat update has same 0.98 GB memory dedicated to apps. Better continue with Link2SD at jellybeans. I don't see much of problems in Jelly beans. 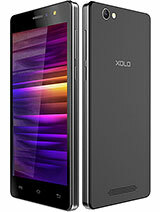 you can update from Xolo service center in any city where it is available. for eg Bangalore has 2 authorised centers. same will be there in many cities. so if by any chance you happen to visit any such city you can get it updated there. My suggestion will be avoid OTA kitKat update. Still cell can't b upgraded to Kitkat from the service centre at Indore . Plz help . Should I upgrade from the OTA update ? Now I have changed the app storage location to SD card which is of 4gb.